There is a downside to Subaru being so popular in the U.S. market. They didn’t need to offer many incentives to move their vehicles out of the showrooms. 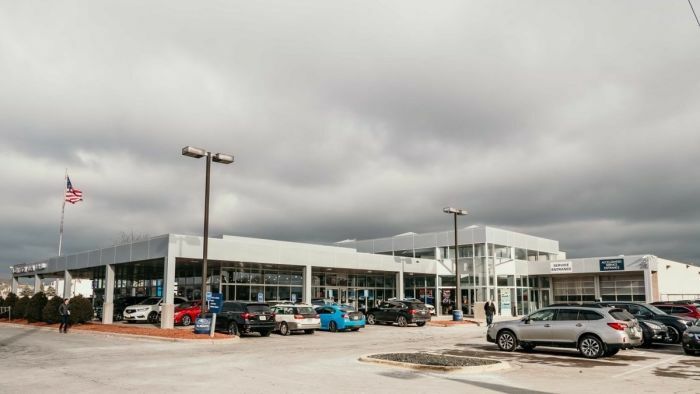 Subaru of America has seen continual growth and the Camden, N.J. automaker didn’t need to give the best certified pre-owned program among automakers offering it. But things are changing as competition heats up in the small all-wheel-drive SUV market. Customers who want to get the best value, and don’t want to spend top dollar and get that brand new car, have another good option. The next best option is to get a certified pre-owned vehicle. You have an opportunity to score a great deal on a lightly worn, factory-backed pre-owned car. CPO cars need to meet a few requirements so you know you are getting good value. They must be under a certain age, not exceed a specific number of miles, and undergo a multipoint inspection. Subaru is offering a good deal on their CPO vehicles. They are now pushing a low-interest rate program on their certified pre-owned models. The Japanese automaker has a new program called The Subaru Love Strikes Twice Event which offers a 0.99% finance rate on eligible CPO vehicles in dealer stock. Is Subaru’s deal the best? According to cars.com, the latest certified pre-owned incentives show Subaru has the best deal when it comes to interest rates of any automaker. What do you get besides 0.99% financing? The CPO program at Subaru includes a factory-backed 7-year/100,000-mile powertrain warranty, 24/7 roadside assistance, a CarFax vehicle history report, 152-point inspection, a $500 owner loyalty coupon for those trading in a Subaru, and SiriusXM 3-month trial subscription. The program ends May, 2, 2019. Customers looking for a better value can now get a lightly worn Subaru Forester SUV, Crosstrek crossover, or Outback wagon and pay thousands less than a new vehicle. The 0.99% financing will save you hundreds more over the life of the loan.